Read stories from our customers who have had their lives changed by portable oxygen concentrators and power mobility equipment. Richard W. of Danville, IN is so happy with his portable oxygen concentrator from Open-Aire that he says, “it makes me want to stand on my head!” He had been using oxygen for several years, and was very unhappy with all the limitations oxygen tanks had put on his life. When he learned about portable oxygen concentrators he thought that was exactly what he needed. “I didn’t even know this was an option,” he says. When his old provider would not offer him one, he looked around for a new company and found Open-Aire. A few weeks later, he got an OxyGo from Open-Aire, and couldn’t be happier. Now Richard plans on using his portable oxygen concentrator to do something he has wanted to do for a long time. His son has a pilot’s license and Richard has wanted to go flying with him. But, due to the small planes he flies, oxygen tanks are not allowed onboard. However, portable oxygen concentrators are allowed on planes. “Before, I couldn’t go on with an oxygen tank, but that’s not going to stop me anymore.” Now the sky is the limit for Richard, and he’s finally going to fly with his son. Rebecca H. of Elon, NC loves her OxyGo Fit portable oxygen concentrator provided by Open-Aire. She lives in an assisted living community, and her portable concentrator or "pocketbook" as she calls it, has made a world of difference for her. With it, she's able to go out and do things around town. There’s a local college nearby, where she takes classes on biblical dance and literature. It's quiet enough that she is able to run it the entire time without interrupting the teacher’s lectures. Her family also drops by for visits and they'll take her out to lunch or to do some shopping. Her portable concentrator has also gotten a lot of notice around the community. Rebecca says, "We go to the dining room for our meals, and there are two other ladies [that] are on oxygen besides me. They have huge tanks. They keep asking me over and over again about my tiny little concentrator." She tells them that Open-Aire is the place to go! With a recommendation from the competition, Larry went to Open-Aire for the portable oxygen concentrator he was looking for, and also got the customer service he wanted. “My doctor had just changed practices, and was still getting up to speed in his new office. Open-Aire helped him out and made things real easy for him.” Now Larry is back to being able to pick up and go anytime and anywhere he wants. W.J. of Hardinsburg, KY is a new oxygen patient, but he has very quickly come to appreciate how much of a difference his portable oxygen concentrator has made in his life. In fact, "it's like a miracle," he says. Currently, W.J. is undergoing weekly treatment at his local hospital, and has regular doctor appointments. He is out of his home 4 or 5 times a week, and with this kind of schedule standard oxygen tanks would not work for him. "I used oxygen tanks for a short time, but they were too heavy." Fortunately, W.J. was referred to Open-Aire and he was able to get a lightweight portable oxygen concentrator that has greatly reduced the burden of his hospital trips. Now that the tanks are gone, his trips to the hospital are much easier. "One battery is all it takes," he says. "That gets me to the hospital. I use their equipment while I’m there, and when it’s time to leave my portable oxygen concentrator is still ready to go." We wish W.J. the best, and hope his trips to the hospital end soon so he can return to an active and mobile life. John Z. of Hanover Park, IL is a real explorer. 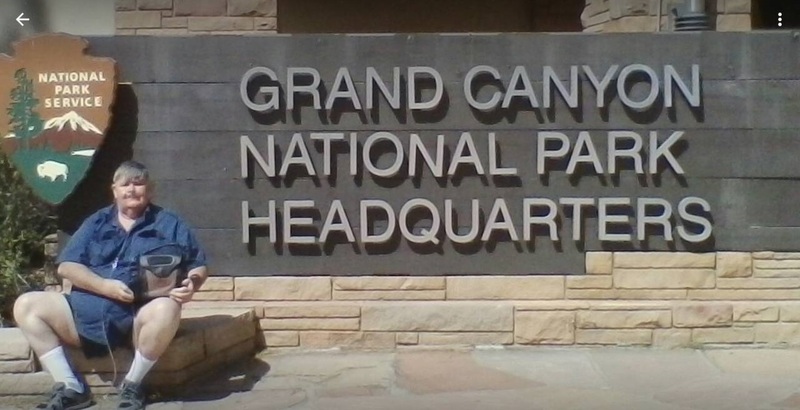 This past summer he took his portable oxygen concentrator on a road trip across America. Starting in Illinois, John made a 2,000 mile drive along historic Route 66 until he reached his destination, The Grand Canyon. "It was a long, but beautiful trip," says John. 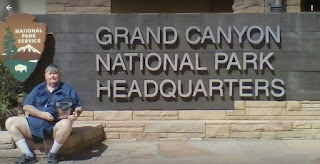 Along the way he made stops at many restaurants, museums, and other national landmarks like Meteor Crater in Arizona and the Continental Divide. The whole drive was possible due to his portable oxygen concentrator. With his portable concentrator he didn’t need to worry about driving with dozens of oxygen tanks. Instead, all he needed to do was plug it into his car’s cigarette lighter and begin his day’s drive without worrying about running out of oxygen. "We averaged about 400 miles a day for 5 days. I don’t see how I could have done that using oxygen tanks." Open-Aire is happy that we could help John on his amazing road trip, and look forward to hearing about where he goes next. November is National COPD Awareness Month. This observance is a time to raise awareness among those afflicted, healthcare providers, and the communities in which we live. … you could be at risk for COPD. Quit smoking. Need help? Talk to your physician or healthcare provider. Take medication as directed by your physician or healthcare provider. Use oxygen therapy if prescribed by your physician or healthcare provider. Get flu and pneumonia shots as directed by your physician or healthcare provider. James B. of Las Vegas, NV had only been on oxygen a short time the day he saw a commercial for Open-Aire’s portable oxygen concentrators. “A small concentrator that you can fly with? That sounds better than what I have,” he thought to himself. He soon called and started working with Open-Aire’s case managers. He was able to get a portable concentrator through Medicare and his supplemental insurance, and had a great experience during the entire process. “The employees were absolutely super the whole way through." Now he’s getting ready to fly to Phoenix, AZ to visit family, and preparing for another trip back east later in the year. Traveling isn’t the only thing that has become an easier experience. James is even able to get back to doing his home handiwork. “A few days ago I replaced a sink and faucet and had my portable oxygen concentrator going the whole time. And I got it done too!” says James. He does it all from start to finish. He goes to his local hardware store, grabs a shopping cart, puts his portable oxygen concentrator in it, and starts looking for all the things he needs to get the job done. “I can take my time and walk around like it’s not even there.” James has other projects that will be keeping him busy, and his portable oxygen concentrator will ensure he’s able to do them. Open-Aire is a provider of portable oxygen concentrators and power mobility equipment. Visit us at www.open-aire.com. Copyright© 2017 Open-Aire. Simple theme. Powered by Blogger.